is a multifunctional department managed by experienced personnel. Its activity associates with almost every department within the hospital. The department is fully equipped with 10 operation theatres, Cath Lab and postoperative ward beds and is managed by well experienced doctors. The art of medicine lies in balancing treatment of the risk of associated side effects involved because of non-invasive & invasive treatment modalities. Critical care medicine is an offshoot of this concept. Critical care unit is designed for patients who need & can benefit from facilities & services, which are not available in other hospital areas. Such patients usually have failure, or potential failure, of one or more major systems. They therefore need continuous support, monitoring, nursing care & availability of medical staff. Modern critical care has developed from respiratory & coronary care with continued momentum provided by the clinical & technological developments in Cardiopulmonary resuscitation, Pharmacological & mechanical circulatory support, advances in the treatment of renal failure, respiratory failure, neurological problems, multiple organ failure and patient monitoring systems. As part of the overall endeavour to improve surgical and critical care outcomes across the Hospitals operations – a first of its kind in unified policies for the control of infection and the development of resistant strains of microorganisms have had been formulated and implemented with growing success. With so much of research & technological advances being made in the field of medicine, there is continuous change in the management of patient problems. It is very difficult to maintain the recommended standards of medical care. 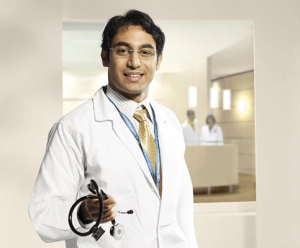 Apollo Hospitals Hyderabad, with the largest network of critical care facilities in whole of Andhra Pradesh is constantly striving to provide the recommended care to its patients. In order to streamline the treatment for patients with different kinds of illness, it has segregated its critical care areas into medical, surgical, neuro & cardiac intensive care units. This is done solely to provide the optimum care to the needy patients. Recovery Room: Has 12 beds with ECG, pulse oximetry and NIBP for every bed. This Intensive Care Unit takes care of a range of medical illness like Acute Respiratory Distress Syndrome, Sepsis, Septic shock, Severe Acute Pancreatitis, Acute kidney injury, Acute on Chronic kidney diseases, Acute and chronic liver diseases, Acute severe asthma, COPD, Poisonings, Acute respiratory failures of various causes, Congestive heart failure, Acute coronary syndromes and all critically ill patients of various diseases. We have, to help us in this process, state of art Ventilators, Monitors, Renal replacement therapies including CRRT machines, Non – invasive Ventilators and other support machinery. We have well qualified Critical Care Specialist with National and Internationally qualified degree (European degree EDIC). Our Department is also a recognised centre by Indian Society of Critical care for training of post MD doctors in Critical Care Medicine. We have well trained doctors posted 24hours in the MICU II. We also have well trained and qualified nurses who undergo continuous training. This is an eleven bedded ICU. Patients who undergo high risk surgeries who require constant close monitoring and/or are haemodynamically unstable and/or requiring ventilatory support post operatively are taken care of in the Surgical Intensive Care Unit. This unit admits all patients who have undergone major abdominal, gynaecological, plastic, orthopaedic, oncology and head and neck surgeries. We provide 1:1 nursing care and are well equipped with latest generation monitors, ventilators, BiPAP machines, warming blanket systems and bedside dialysis facilities. This unit was introduced keeping in view the need for special care to patients with neurological problems. The main problem faced by many of these patients are unconsciousness or semi-consciousness, seizures & morbidity requiring rehabilitation. This unit has been provided with Web Camera, to facilitate the patient’s attendants’ eagerness to see their patients. These patients are vulnerable for cross infection became of their inability to take care of their health. To prevent this catastrophe, infected & non-infected patients are managed by barrier nursing. The personnel working in this area wear a special dress designed for preventing them from infection between patient and their (working) personnel. To monitor the changes pressure inside the spine / brain, intracranial pressure monitoring system is used. To know the activity of brain, electroencephalogram (EEG) is used as bedside equipment to know the problem at the earliest. The unit also has the facility of Music Therapy. Patients with heart problems can easily get into problems within fraction of second by a massive heart attack. Hence patients with these problems will have to be managed in a cardiac intensive care unit. This is equipped with central monitoring system to keep a track of beat to beat variation in heart rhythm. This unit is attached to Cath lab, so that in case patient requires urgent intervention, there will not be any delay. Certain special infusion by items and circulatory support devices (Intra Aortic Balloon Pump-IABP) are kept ready for any kind of emergencies. All these critical care units are managed by doctors who are pioneers in their profession and are ably supported by well-trained nursing professionals. The patients are constantly under close monitoring/vigilance round the clock by highly trained clinicians. Excellent record maintenance, quick laboratory response & fantastic supportive services are a boon for any excellent critical care unit. 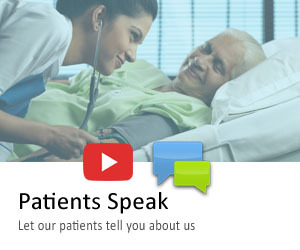 Apollo Hospitals is proud to have these kinds of services. To provide a human touch to all these services for interaction with patient attendants, each critical care unit is provided with a counselling room. This area provides an opportunity for patient attendants to directly interact with the clinician and express their feelings. It is not a surprise that Apollo Hospitals got ISO 9002 Certification. All the information gathered by the clinical management is pooled for research. In our emotions to treat the disease, most often people forget that they are treating a human being. Every human being goes through emotional upset, anxiety, pain, when kept in a place like Critical Care Unit. Of late this problem is receiving lot of attention. Patients are sedated during their stay in ICU. Pain relief is provided with many drugs and gadgets all these things or physician let, patient might have increased or decreased requirements to solve their problem patient controlled analgesia has been introduced patient can adjust paying relief measure as much he requires. Acute Pain – Management of postoperative pain, labour pain & 24-hour epidural services for painless delivery. Each theatre in the hospital is equipped with ECG, Pulse oximeter, capnometer, NIBP, invasive BP monitoring, ventilators, fully equipped recovery rooms.